Looking To Find The Best Hero Handyman Kingston Has To Offer? Hi, my name is Chris Reeves, I’m your local Kingston handyman. My business services cover the whole of Kingston Upon Thames and surrounding area. For larger or regular jobs I can offer my handyman services further afield. There is always something that needs fixing or attaching to the wall but never the time or the tools to get it done. From constructing your Ikea purchase to mowing your lawn, there’s No Job Too Small. Decorating is something I enjoy with a passion. Whatever you need, from a refreshing makeover to making a bad thing good, I can take care of all your painting and decorating requirements. The satisfaction and the feeling of getting a good job done are my motivations and to provide you with the best handyman service possible. I don’t charge a call-out fee for my handyman service, simply a fair hourly or daily rate. I also provide full job quotes. My services are flexible, should I need a certified tradesman or professional to handle part of a job, I am able to arrange and manage this for your convenience. MyBuilder.com is probably one of the UK’s most established and trusted websites for locating quality tradespeople. 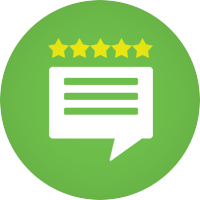 The My builder platform gives you access to real and accountable reviews from other homeowners and so, consequently making it easy to find the right person that can offer you excellent quality work. 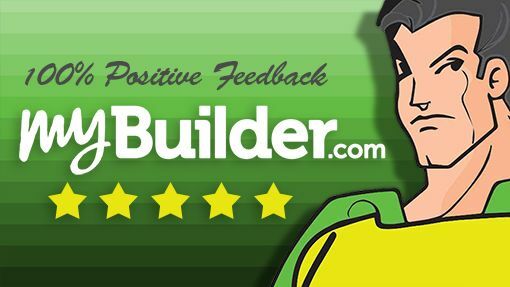 Having been a member since 2014, Chris Reeves AKA Handyman Hero is proud to demonstrate his reliability and skill with a 100% positive review feedback showing he is indeed a real Master Handyman. For more complexed jobs I offer a free visiting quotation service. I can normally arrange a quote visit on the same day or within 24 hours. Handyman Professional Services For Landlords And Rental Agencies. Are you a landlord or an agency in need of a regular and dependable handyman to help manage your property? If so, please either call me or visit my Landlord Maintenance service Page to Learn more. First of all, I take pride in my craft and respect your property as if were my own. Hence I offer my Kingston Handyman Hero services to you with a GUARANTEE, to be reliable and professional and to always complete jobs to my highest standard. I, therefore give you my promise, that should I need to return as a result of any fault in my work, I will do so and deal with it as a matter of urgency and of course, free of charge.